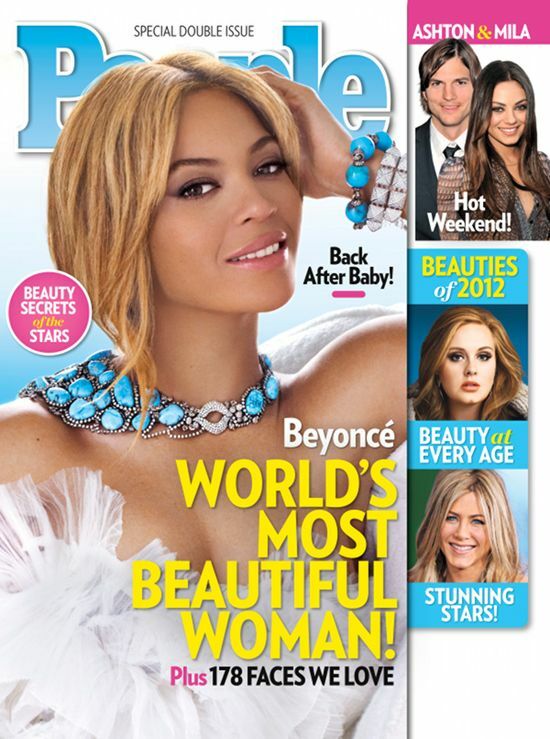 New mom Beyonce has been crowned as the Most Beautiful Woman of 2012 by People magazine, a honor that was bestowed upon Jennifer Lopez in 2011. In the issue on newsstands Friday (April 27th), the 16-time Grammy winner says motherhood has made her feel more beautiful than before: "I feel more beautiful than I've ever felt because I've given birth. I have never felt so connected, never felt like I had such a sense of purpose on this earth." She is certainly glowing!!!! On Blue Ivy, the diva says: "She's just the cutest thing. She's her own person."